Lam Luong was sentenced to death on April 29, 2009 for throwing his four children from the Dauphin Island Bridge on January 7, 2008. Victims: Danny Luong, Hannah Luong, Lindsey Luong and Ryan Phan. A judge ordered a death sentence Thursday for a jobless shrimper convicted of murdering four young children by tossing them from an 80-foot-high bridge on the Alabama coast. Circuit Judge Charles Graddick handed down the death sentence to Lam Luong (lahm loo-AWNG') and said he would order prison officials to show Luong photographs of the four children each day he is on death row. Luong, 38, was convicted in March of killing the children on Jan. 7, 2008. A Vietnamese refugee, he was accused of dropping the four from atop the Dauphin Island Bridge after an argument with their mother, Kieu Phan, 23. Luong, who was Phan's common-law husband, fathered three of the victims - Hannah Luong, 2; Lindsey Luong, 1; and Danny Luong, 4 months. Ryan Phan, 3, was Phan's child with another man. At his sentencing, Luong looked toward his wife and, through an interpreter, apologized. His attorneys urged Judge Graddick to sentence Luong to life in prison without parole, the only alternative to the death sentence under his capital murder conviction. They said he was addicted to drugs and depressed. But Graddick said the aggravating circumstances were too great. He said the children, during their fall from the bridge, must have felt "sheer terror" and were alive when they hit the water. The jury that convicted Luong last month also recommended the death sentence. An appeal is automatic under Alabama's death penalty law. Luong, who once entered a guilty plea but later retracted it, did not testify at his trial or during a later sentencing phase. During the trial, the children's mother testified that Luong had a girlfriend, abused drugs and didn't find a job when the family returned to the Bayou La Batre area. They had temporarily relocated to Georgia after Hurricane Katrina hit the Gulf coast in 2005. Retrying Lam Luong on murder charges in connection with the deaths of his four children could cost up to $100,000, Mobile County�s top prosecutor estimated this afternoon. Luong, who confessed to throwing the children one by one off of the Dauphin Island bridge in January 2008, won a major break Friday when the Alabama Court of Criminal Appeals threw out his conviction and death sentence on grounds that the trial should have been moved away from Mobile County because of pretrial publicity. Mobile County District Attorney Ashley Rich this afternoon criticized that decision and vowed to retry Luong, if necessary. �We will fight with all that we have to keep this man behind bars,� Rich said at a news conference at Government Plaza. She estimated it would cost up to $100,000 if the state had to try the case in another city. But she said cost would not be a consideration, naming each of the children individually. �We will be ready to do this again,� said Rich, who received news of the appeal while she was on vacation. The deaths of the four children � Ryan Phan, 3; Hannah Luong, 2; Lindsey Luong, 1; and Danny Luong; 4 months � attracted international news coverage. Nowhere did the media spotlight shine more brightly than in Mobile, where dozens of newspaper articles and hundreds of broadcast stories chronicled every development. The appeals court ruled that by the time the case went to trial in March of the following year, the region had been so saturated with details of the case that Luong could not get a fair trial in Mobile. The judges, who voted 4-0 in favor of overturning the conviction, found fault with the way Presiding Circuit Judge Charles Graddick handled jury selection. The judges ruled that he should have allowed more extensive one-on-one questioning of the jurors. Art Powell, one of the lawyers appointed to represent Luong at trial, said he would be willing to do so again, if asked. The Alabama Attorney General�s Office indicated earlier today that it will ask the state Supreme Court to reverse the lower court ruling. As an indication of just how visible the case is, Attorney General Luther Strange called Rich in the middle of her news conference. Rich said prosecutors worked diligently to bring a �speedy end� to the case 14 months after the crimes occurred. She noted that last week�s appeals court decision came long after the 2009 trial. Rich said her office would review how the ruling might impact pending capital cases, but she noted that each one is distinct. The district attorney said she has every confidence a jury in any part of the state would reach the same conclusion, particularly since the appeals court upheld the validity of Luong�s confession. She challenged other aspects the court�s ruling. The judges, for instance, determined that Graddick used a Vietnamese language interpreter who was not registered with the state court system. Rich said no one during the trial objected to the interpreter�s performance. Rich said the demonstration came during the trial�s penalty phase, when jurors were trying to decide whether to recommend the death penalty. She said the rules of evidence generally are less strict during this phase. She said she would fight to include a similar demonstration at a retrial, if necessary. I was just wondering...is he Cambodian? No he isn�t, he�s a a Vietnamese refugee. He should have been executed immediately after he addmited his guilt. Dear Judge, My name is Lam Luong. I am plead guilty for that I have done that was the matter of killing my four children. From the day they die, I'm no longer want to live but I don't know how to die. Just please grant my wish. I hereby request the death penalty as soon as possible. That is my request. Lam Luong. Extensive publicity focusing on a man convicted of throwing his four children off the Dauphin Island Bridge five years ago made it virtually impossible to get a fair trial in Mobile, an attorney told the Alabama Supreme Court on Wednesday. American Civil Liberties Union lawyer Cassandra Stubbs told the high court that anger directed at Lam Luong became so pervasive that some residents were overheard calling for torture and a public hanging. 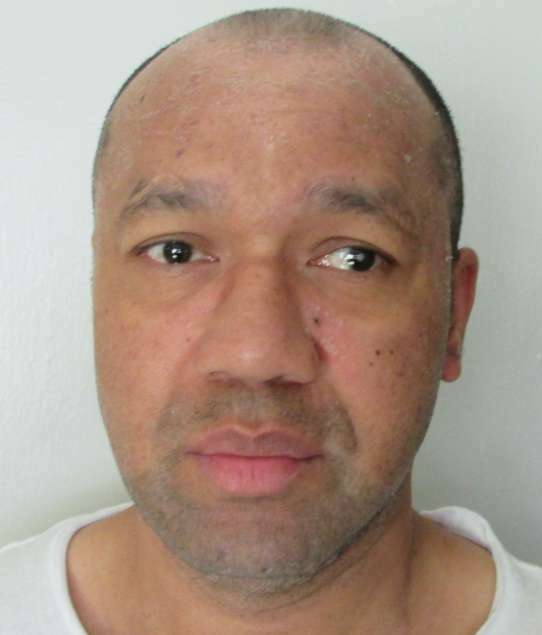 Alabama Solicitor General John Neiman said Luong confessed after his arrest and tried to plead guilty to four counts of capital murder, but then withdrew his statement shortly before his trial in Mobile in 2009, when he was convicted. Earlier this year, the Alabama Court of Criminal Appeals threw out Luong�s conviction and death sentence and sent the case back to Mobile County Circuit Court, ruling that publicity surrounding the case made it impossible for the suspect to have a fair trial in Mobile, where the crime occurred. The state attorney general�s office appealed that decision to the Supreme Court. There is no indication of when the high court might issue a ruling. One of the main sources of contention is whether Circuit Judge Charles Graddick, who followed the jury�s recommendation and sentenced Luong to death, should have moved the trial out of Mobile County. Hundreds of newspaper articles and daily television reports about the case captivated the city for more than a year. In addition to Graddick�s refusal to move the trial to another county, he also denied a request for funds to pay for a member of the defense team to go to Vietnam to investigate Luong�s childhood. State prosecutors contended an unbiased jury could be selected because the trial was held more than a year after the extensive publicity surrounding the case. Stubbs said after the hearing that it remains �a little unclear� whether a second trial, if held, would be in another county or kept in Mobile. The ACLU attorney, who is based in Durham, N.C., said there had been �very limited questioning of potential jurors� when the trial got underway and that animosity toward Luong was evident across the county. Luong drove his small children � Ryan, Lindsey, Hannah and Danny � to the top of the Dauphin Island Bridge on the morning of Jan. 7, 2008, and then, one by one, threw them over the rail, more than 100 feet into the water. The hearing Wednesday at Judson College drew a large turnout of students from Judson, Marion Military Institute and Morgan Academy in Selma. Judson President David Potts thanked Supreme Court Chief Justice Roy Moore and the other justices for holding the hearing on campus during a year that marks the 175th anniversary of the women�s college. Last year the capital murder convictions against Lam Loung in the deaths of his four children were reversed by the Alabama Court of Criminal Appeals. Friday the Alabama Supreme court ruled 5-3 that the lower court ruled incorrectly and sent Loung back to death row to face execution. The original reasoning for the reversal by the lower court was based on the court saying that pretrial publicity was prejudicial and that the court in the original case made an error when they denied the defense attorney�s request for funds to travel to Vietnam. State Attorney General Luther Strange praised the Supreme Court ruling. �We have maintained that Luong received a fair trial, and we are thankful that the court heard our arguments and has ordered that his conviction and sentence will stand,� he said. �Lam Luong threw his four young children off a bridge to their deaths, and then laughed when he told their mother. This monstrous act rightfully resulted in his capital murder conviction and a sentence of death.� Strange continued. Justice Lyn Stuart when speaking for the majority in the ruling said that Luong�s attorneys did not provide specific information concerning Luong�s childhood that would indicate a state-paid trip to Vietnam would yield important evidence. Defense attorney Cassandra Stubbs senior staff attorney with the ACLU Capital Punishment Project has been fighting for the courts to overturn the original ruling and force a retrial in a new district and is looking to take this fight even further. �No meaningful steps were taken to make sure he got a fair trial,� Stubbs said. During the original trial Luong- a former shrimper and Vietnamese immigrant, was convicted of killing his four children by throwing them off the Dauphin Island Bridge into the Mississippi Sound in 2008. Luong, a Vietnamese immigrant, was convicted of capital murder and sentenced to death in 2009 for driving the four children to the Dauphin Island Bridge in Mobile County on Jan. 7, 2008, and throwing the four children into the Mississippi Sound about 100 feet below. The bodies of the four children� Ryan Phan, 3, Hannah Luong, 2, Lindsey Luong, 1, and Danny Luong, 4 months � were later recovered along the coast of Alabama, Mississippi and Louisiana. Hannah was even found to have drifted some 144 miles from where she was original thrown. During the trial the mother of all the children testified that the relationship had gone downhill and that her unemployed husband had even started using crack and seeing another woman. The Supreme Court is refusing to intervene in the case of an Alabama man who is facing execution for throwing four children off a bridge to their deaths. Luong was sentenced to death in 2009 for driving the four children to the Dauphin Island Bridge in Mobile County and throwing them into the Mississippi Sound about 100 feet below. Three of the four children were Luong's and the other was his wife's from a previous relationship. The Alabama Supreme Court reinstated his convictions in the four deaths after a lower court had ruled in Luong's favor. MOBILE, AL (WALA) - Notorious killer and Alabama death row inmate Lam Luong will be getting a new interpreter. The original request was that Alabama taxpayers would foot the bill for the new interpreter. However, the judge in the case said the state doesn't have the money. In January, the defense requested a new interpreter for future post-conviction hearings. Luong's attorneys, who are with the American Civil Liberties Union, claimed the current one, Tam Vo, is not adequate and also has a conflict of interest because he's a possible witness. Vo was appointed in November, paid for by the state, according to an appeal submitted by the defense. Vo was paid $65 an hour for a hearing in December. The new interpreter charges $60 an hour but would require travel costs. One of Luong's attorneys asked the judge to appoint a different interpreter from Washington state. He would be able to provide "simultaneous interpretation," which is supposed to be faster. But Judge James T. Patterson denied the request because he said he doesn't want Alabama taxpayers to foot the bill for travel expenses, saying the state is quote "dead broke." He fired back at the defense, saying he'd approve the new interpreter if the ACLU will pay for travel costs. No conclusion was made at that time. Now, we're told the ACLU will pay for the interpreter's travel, food and hotel expenses. In 2008, Luong threw his four children off the Dauphin Island Bridge; the oldest was four-years-old and the youngest was only months old. All four of their bodies were recovered over a two week period across three states. Luong was convicted and sentenced to death in 2009. Luong, who was ordered by a judge to look at the four victim's pictures every day in prison, remains on death row. MOBILE, Ala. (WKRG) - The man convicted of throwing his four children off the Dauphin Island Bridge will serve a life sentence without parole. Luong was convicted on five counts of capital murder almost a decade ago and sentenced to the death penalty. He has been on death row in Holman Prison in Atmore. In 2013, the Alabama Criminal Court of Appeals ordered a new trial citing pretrial publicity. The Alabama Supreme Court overruled that appeal in 2014 and upheld Luong's previous conviction. Earlier this year, Luong's attorneys filed a motion citing "significant adaptive functioning deficits". The defense argues Luong is ineligible for execution because of intellectual disability. Experts on both sides found Luong is a man with intellectual disability. The State of Alabama agrees with the defense. During today's hearing, District Court Judge James Patterson said he had no doubt that even with the intellectual disability, Luong indeed knew what he was doing the day he threw his children off the bridge. Judge Patterson said Luong deserves to die for that, but he has no choice based on the settlement agreement with the State of Alabama.